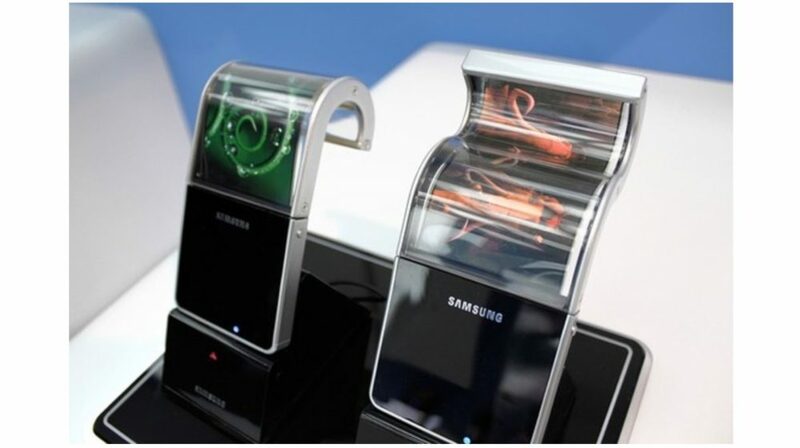 For months now, there have been rumours that Samsung will be launching a foldable smartphone in 2018. Till now, a lot of the information was gathered through Samsung patents but, a new report has claimed that Samsung will launch a 7.3-inch foldable smartphone in December of 2018. The report was published earlier today, which provided a few interesting details about the upcoming foldable smartphone. According to the report, the phone would feature a 7.3-inch, flexible OLED display (built by Samsung Display) which would fold open like a book. The report further speculates that Samsung may even be showing off display prototypes for industry partners behind closed doors at CES in Las Vegas, USA. Currently, Samsung’s engineers are tasked with ensuring that the display leaves no trace of having been folded once it is opened into a flat position. The price of the devices is expected to be “ultra-premium.” Samsung is not a stranger to exorbitantly priced smartphones as its ‘W’ flip smartphones are priced higher than usual smartphones in South Korea. December sounds a bit too far since there are rumours of other OEMs like LG and Lenovo are also working on smartphones with a flexible display. However, it is fair to assume that a foldable phone from Samsung will definitely grab the headlines, regardless of the time its launched at. Samsung has been known to experiment with smartphone displays in the past and has become a pioneer in curved displays with its Galaxy S7 Edge, S8 and the Galaxy Note series. A report from the South Korea Herald suggested that the production of the Galaxy X would be on 100,000 orders, making it an extremely limited edition device. If this happens, the Galaxy X would be the most difficult Galaxy phone to get your hands on. Irrespective of the timeline of the foldable smartphone, it is expected to stir up the smartphone industry while more OEMs follow suit and launch their own iterations of a foldable Android phone.